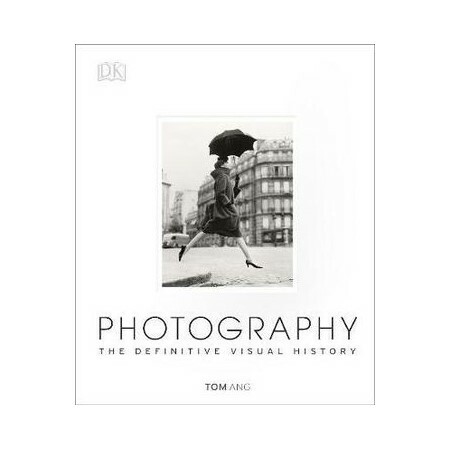 Photography is a beautiful lavishly illustrated reference book tracing the history of photography from its origins in the 1800s to the global phenomenon of digital photography. Photography celebrates the most iconic photos and profiles 50 of the most famous photographers of the past 200 years, with special features delving into the stories of especially arresting photographs, including Pulitzer Prize-winners, such as The Power of One by Oded Balilty. Discover the history of photography from key events and technological developments such as the first black and white photography and contemporary street photography. Perfect for any budding photographer or polished professional Photography captures the development of different areas of photography including portrait photography and war advertising in a beautifully lavish reference book. Photography not only showcases incredible photographs, but tells the stories of how they came into being, perfect for anyone who appreciates the beauty of photography, from professional photographers to armchair enthusiasts. Tom Ang is an award-winning photographer, author and TV broadcaster. He has written many bestselling books for DK, including The Digital Photographer's Handbook, which has sold over half a million copies and has been translated into 20 languages. He has exhibited internationally and was a university lecturer in photography for 12 years.